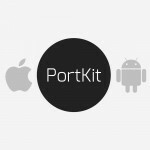 I was trawling the web looking for juicy bits on the up coming Android 4.3 / 5.0 codenamed Key Lime Pie and found this awesome info graphic. Since this post 4.2 Jelly Bean was released with a slew of new features. In addition at Google I/O 2013, google started to promote its new intention to push critical core services into the Google Play Services stack thus helping reduce Android Fragmentation by providing up to date APIs to all devices connected to Google Play. This was also a pretty smart move to keep the Amazon App Store and Samsung App Store and other third party stores from completely replacing Google Play. After all if users want things like GCM and the new Fused Location API they need Google Play Services installed. It will be interesting to see what Amazon does about this in their Kindle Fire range which is renowned for being a non Google Services based Android device. I hope you enjoyed this quick run down on Android history, its interesting to see the evolution and priority of functionality and just how far Android has come over the years. With Key Lime Pie almost a certainty, the question is, what Dessert will make the letter L? Could it be Android Lamington as an Australian Google Android Engineer Reto Meier @retomeier hinted at I/O 2013. 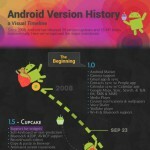 Original Source: Android Version History: A Visual Timeline [Infographic]. Posted on June 21, 2013 at 11:47 am. Its a nice informative Article. It could be Android LEMON. Something to look forward to. We've prepared a simple project planner to get started. - Please Select -A mobile projectA web projectBothSomething elseJust a chat! © 2019 Kintek.com.au Pty Ltd, since 2002.